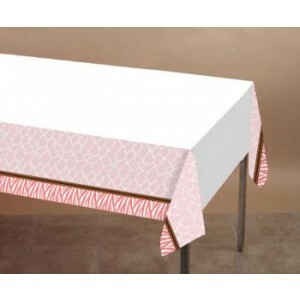 Pink Baby Zoo Themed Plastic table cover 137cm x 274cm. 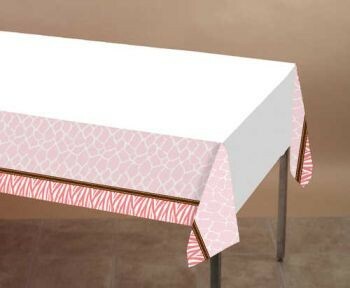 This large table cover is colourful and really adds to your Wild Safari theme as well as protecting your table. Also ideal for outdoor and office Baby Shower parties.